I remember floundering in grade school - in the honors section but not fully comprehending what was being taught. I used to break out in a cold sweat on Monday mornings which I hoped would progress into ‘excuse-slip-fever’. That’s how much I dreaded school. I got by largely thanks to seatmates with great notes, the power of memorization and logical guesswork. Grade 8 at Holy Rosary with Mrs. Mooney marked my epiphany. I finally understood the principles of calculus and even got to like French. All it took was the patience and energy of one teacher to turn my world upside down (or right side up). We need more Mrs. Mooneys in this world who have both the requisite knowledge/skills AND passion for teaching. 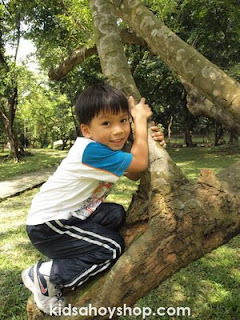 Those based in Manila are extremely lucky in that they have Kids Ahoy, the brainchild of Joanne Tupas-Parson, a passionate and dedicated SAHM whose vision is the creation of a social and creative playground for kids. From Academics (Tutorials, Homework Club) to beyond academics (Music, Art, MAPEH, Theater, Filipino, Prep Camp, Play Club, Science, Robotics and more) or Blended Homeschooling, Kids Ahoy has options designed to fit a child’s individual needs. I continue to be amazed at the programs Kids Ahoy is rolling out – from Batang Pinoy to Toddler Art to Little Theater. I am particularly impressed with the programs developed with Barefootprint Outdoor Adventures which go a long way in combating the growing disconnect our kids have with Mother Nature. A: Mommy, stop. Look, there are plenty of trees here (pointing to some sorry looking trees along Malugay). A: Because they give out oxygen. A: Yes, oxygen. You know... what we need to breathe. So... Got Kids? Love Kids? Join Kids Ahoy!